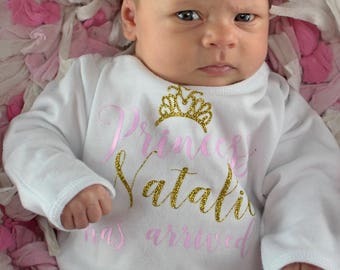 Newborn girl coming home outfit - newborn girl princess - Baby shower gifts - baby girl take home outfit - newborn photo prop. Hello World I have arrived in pink and silver is perfect for a baby shower gift, bringing baby home from the hospital or those first newborn photos. Vinyl is commercial grade CPSIA certified and child safe. No stitching on the inside means it's soft next to baby's skin. Gowns are LONG SLEEVE only and have fold over cuffs. 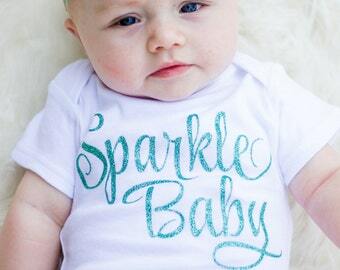 Available in a short sleeve bodysuit, long sleeve bodysuit, long sleeve gown. Please make sure that you are selecting the correct option from the drop down menu at check out. 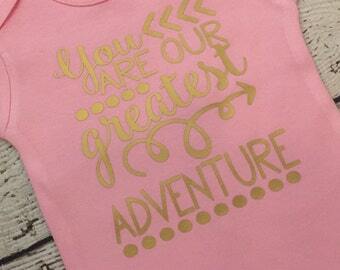 Love you to the Moon newborn girl bodysuit or gown. Baby shower gift. baby girl coming home outfit. Hospital outfit. Hat sold separate. I can't wait for the baby shower! Am I able to order more than one item or combine shipping so that I don't have to pay shipping twice? Yes!! If you would like to order multiple items please place all of the items into your cart before checking out. As items are added to your cart the shipping will be combined to save you on shipping! Where do I put the name I would like on my order? If you are ordering an item that is personalized please leave the name that you would like used in the message to seller box at checkout. We copy and paste the name left at check out into our program to ensure the correct spelling. How many letters are allowed for the name? 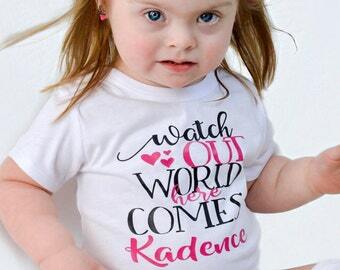 Can I order with 1st and middle name of baby? On most items we can do as many letters as you need and first & middle name. There are some specific items where we can only do a first name due to available space. Those items are listed in the description - for example - the newborn hat with glitter bow and name option. Due to the small space we can do longer names however only a first name is allowed. What is included in my order? All of our items are listed separately in our shop to help with inventory and to ensure that customers get exactly what they want. If you want a personalized hat and gown then you need to add both items to your cart. If you would like a bodysuit and headband then you would need to add the bodysuit to your cart in the size you desire along with the headband that you would like in the size desired. To help make shopping easier the links to matching/coordinating items are listed in the item description. On the mobile version you will need to scroll down and click on the "item description" box. You will then be able to see the clickable link. When will my order ship? How long will it take to receive my order? Can it ship faster? Processing times are listed in the "Shipping & Policies" tab for each item. This is the amount of time it takes for us to complete your order and get it shipped out. Shipping (Transit) time depends on several factors - shipping method chosen at check out, location and the USPS. If you are in the US and need your item quickly please chose priority shipping. While priority shipping is not guaranteed to arrive by a specific date it is typically a faster shipping method than standard (first class) shipping. If you require an Express order (received within 2-4 days) please contact us prior to ordering to ensure that we can complete the order in your needed time frame. Express orders do require an additional charge. 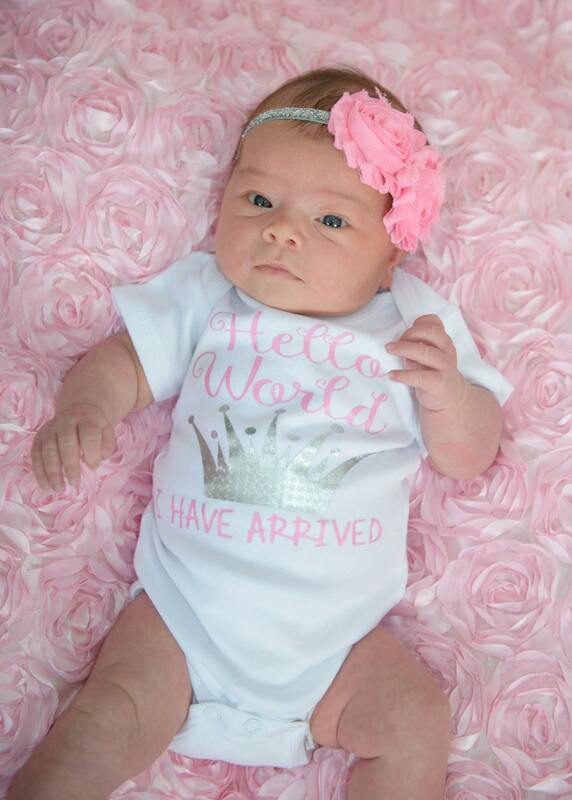 Gowns are available ONLY in the newborn/0-3 month size. 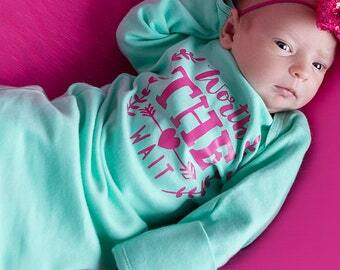 If you chose a gown from the drop down menu then you will receive a newborn/0-3 month gown. We do not carry a 3-6 month gown. Hats are available in newborn/0-3 month size. Bodysuit: Wash inside out on delicate cycle. Lay flat to dry or tumble dry on low temperature. Headband: Hand wash and lay flat to dry. Do not machine wash or tumble dry. All of our items are neatly packaged in clear bags with a business card. If you would like a short note included with your item please leave it in the message to seller box at check out and we will be happy to include it on the back of our business card. We do not include any invoices in our packages since so many are sent as gifts. At this time we do not offer wholesale pricing on our items. 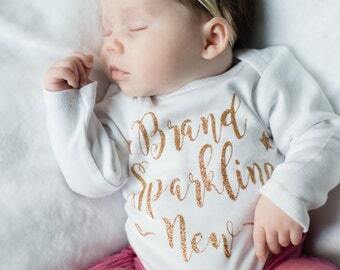 New to New Baby Boutique? Use the code WELCOMETONBB for 5% off your total purchase price before shipping.